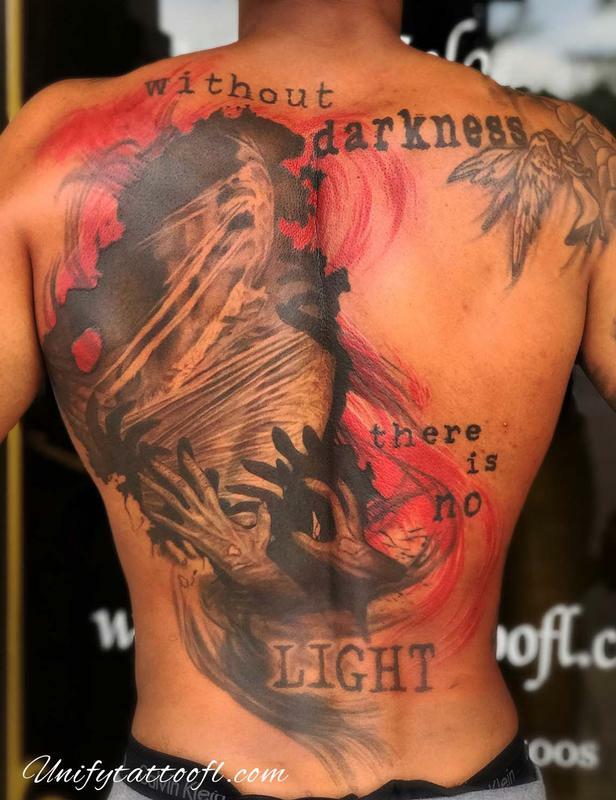 Unify Tattoo Company : Tattoos : Pepper : Without Darkness.. Without Darkness there is no Light. Love working in the trash polka style and being able to work with my client on this one. Did not do angel tattoo pictured off to the side.